My lovely friend Siobhian asked me about a gazillion years ago if I could make a quilt out of her daughter’s baby clothes, and last week a bagful of the most adorable sleepsuits arrived in the post. 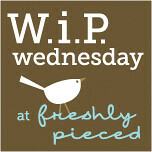 We decided on a simple design of five-inch squares, supplemented with bits of a Walk in the Woods charm pack. I’ve never sewn with knit fabrics before (at least, not since a really badly failed attempt at a jersey top in my teens. Boy, was that a disaster!) so fused everything to woven interfacing before cutting the squares. It makes things quite heavy, but at least it won’t go wibbly when I stitch it together. 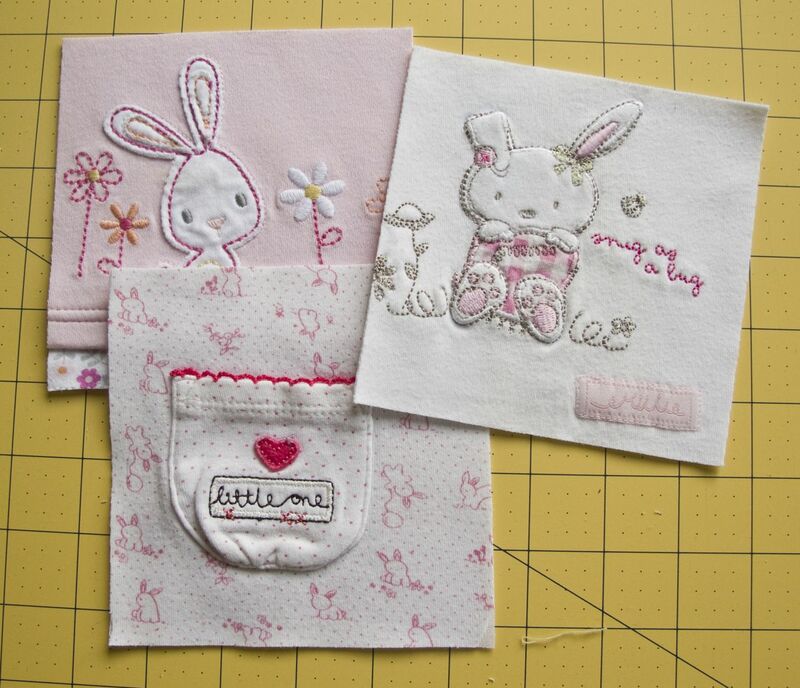 I love the details on some of the pieces – little pockets and embroidered bunnies. So cute! I am hoping that the puppy/realjob/kids combo that I am currently juggling will let up a bit and I will get a chance to actually sew these together before little Lilly turns 12. 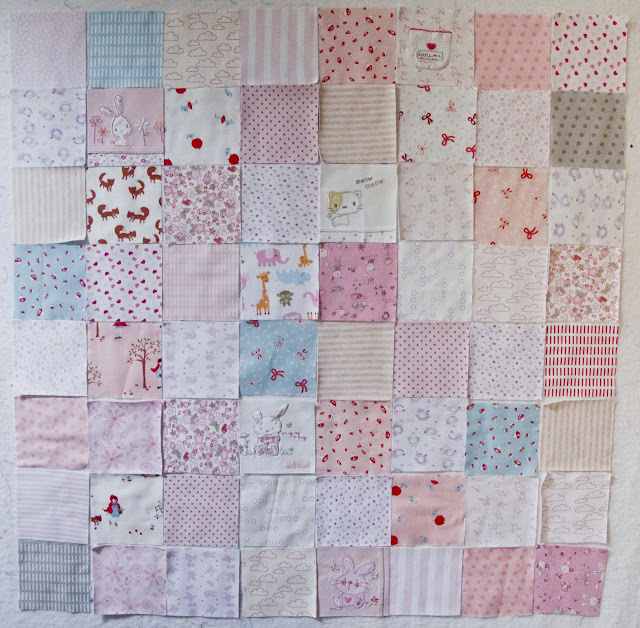 Fingers crossed for a bit of sewing time in the near future – I’m getting a bit twitchy!